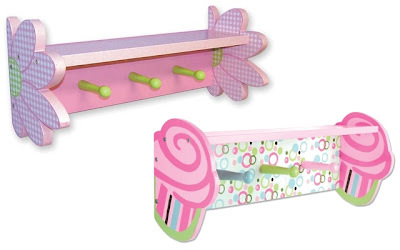 The Trend Lab Darling Daisy Wall Shelf with Pegs and the Cupcake Wall Shelf with Pegs are currently selling for just $14.55 each on Wayfair.com! You will be saving 50% off the listed price of $29.09 with this home furnishings deal. What I like about these adorable wall shelves is the added storage they offer in addition to being decorative. The pegs are perfect for hanging a bathrobe, a jacket, handbags, necklaces, and much more.